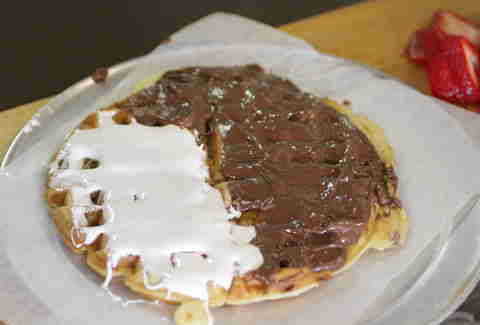 Waffle tacos. Crazy substitutions for hamburger buns. Basically, things are going down, in the most twisted and delicious ways possible. 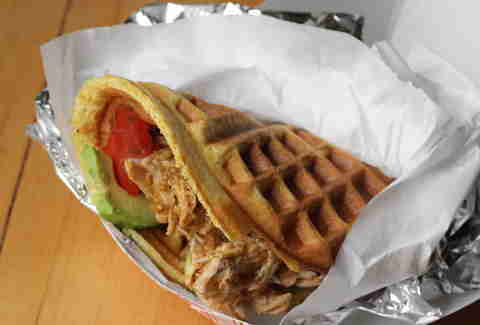 So we decided it was high time to revisit Waffle & Wolf in Williamsburg, the waffle-sandwich cafe that presumably caused a Taco Bell talent scout to treat its wares like so many tall Midwestern chicks in the mall. 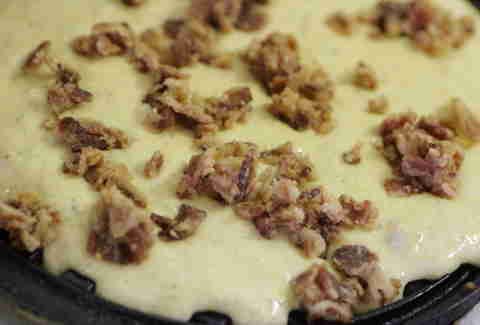 The first thing you should know about this place is that you can get bacon baked right into your waffle (or jalapenos, or coconut... ), and the second thing is that you can choose between regular, cornbread, or buckwheat. There is no wrong choice. 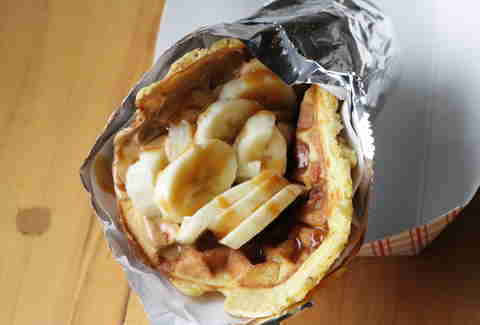 If you let the menu be your guide, you'll run into greatness like a cornbread waffle with that bacon, topped with peanut butter, caramel, and bananas. It's what Elvis would eat if he wasn't alive and well on the Upper West Side, and didn't hate the commute to Brooklyn. 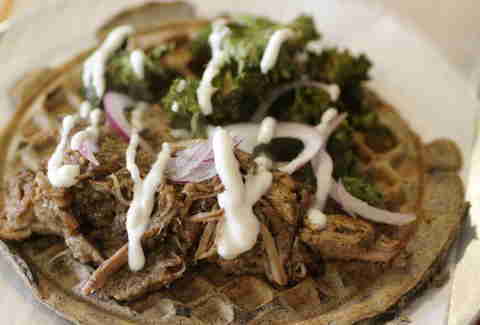 Fact: If you put pulled-pork on a buckwheat waffle and top it with kale chips and onions, it totally counts as healthy. 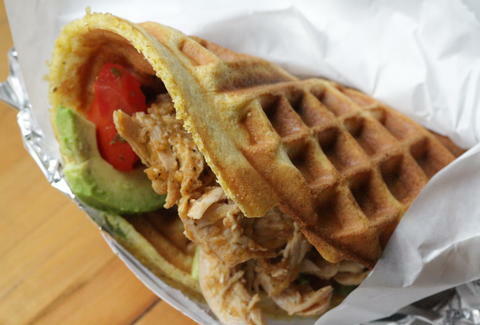 The taco-iest of the menu items is this cornbread waffle with jalapenos baked into it before being folded around shredded chicken, salsa, and avocado. 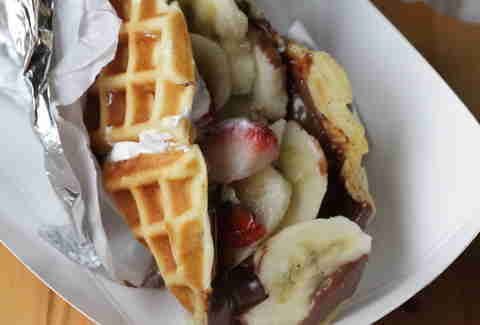 ... then stuff it with strawberries and bananas. World peace is not far behind.